In August–September 2016, limited-scale trial excavations were conducted at the Umayyad Palace of Horbat Minnim (Khirbat al-Minya; License No. G-81/2016; map ref. 25045–55/75227–35), as part of a restoration project at the site, funded by the Federal Foreign Office of Germany, the Axel Springer Foundation in Berlin, the German Academic Exchange Service (DAAD), the University of Mainz and the Association of the Friends of the Institute of Ancient Studies at the University of Mainz. 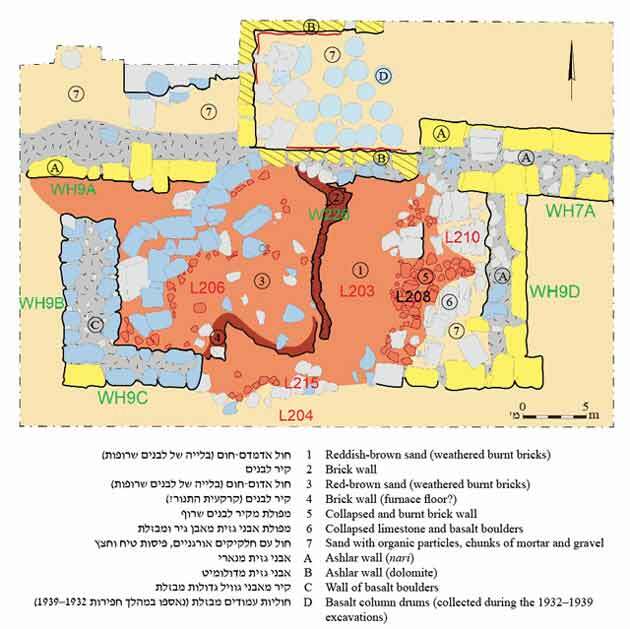 The excavations were directed by H.-P. Kuhnen (University of Mainz), and co-directed by M. Pines and O. Tal (Tel Aviv University), with the assistance of C. Rohn (surveying and drafting), K. Kowalski (GPS) and J. Ivanowski and E. Stern (consultation). An IAA team headed by U. Berger assisted with GPS positioning. The restoration was carried out by the Institute of Ancient Studies at the University of Mainz in cooperation with the Israel Nature and Parks Authority (Kuhnen 2016b:14–19). Technical support was provided by the Israel Nature and Parks Authority and the Youth Hostel of Karei Deshe. The excavations sought to obtain archaeological data on the construction history of the Umayyad palace, which was built—as indicated by a fragmentary inscription—during the reign of one of the two caliphs named Walid (I, 705–715 CE; or II, 743–744 CE) and destroyed in the earthquake apparently dated to749 CE. The site was first excavated and measured in 1932–1939 by E.A. Mader and O. Puttrich-Reignard on behalf of the German Görres Society and the Museum of Islamic Art of Berlin (Kuhnen and Bloch 2014:9–14). These excavations established the ground plan of the palace, including its mosque; revealed the heavy damage caused by the earthquake; and found indications for reuse of the site in medieval times as a sugar refinery (Fig. 1; for subsequent excavations at the site, see Cinamon 2012; Cytryn 2016). Several squares and probes were opened in the current excavation (Fig. 1). 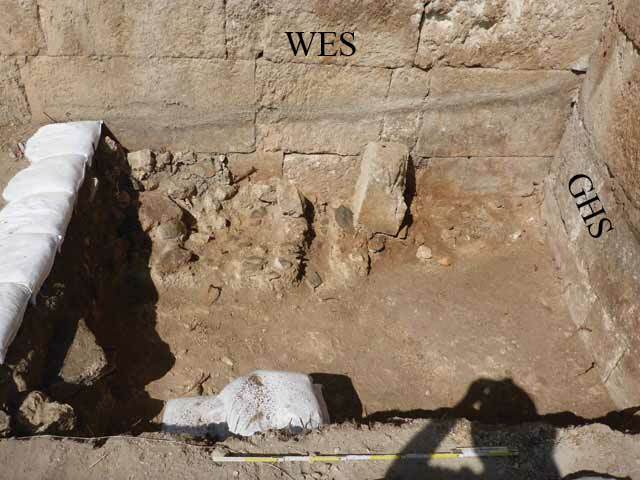 Seeking to determine if any structure predated the palace, two squares (WES I, WES II) were opened along the eastern curtain wall of the palace. For tracing the floor level of the palace and determining the depth of undisturbed archaeological layers, a probe (WWN I) was dug through the 1932–1939 dumps outside the western curtain wall. Additional soundings (POP A I, POP A II) were excavated within the furnace of the medieval sugar refinery to understand its construction history. In addition, the structure was measured, and its walls were surveyed for damage evaluation caused since the 1930s. Square WES I (Fig. 2) was opened in the corner between the eastern curtain wall (WES) and the southern gate tower (GHS) outside the protruding gate complex. At -208.15 m, the excavation reached the top of the wall’s foundation trench. The foundation trench was filled with debris that contained fragments of limestone ashlars mixed with basalt boulders (L123; Fig. 3). This fill yielded pottery from the Early Islamic period, with some later intrusions. The white limestone masonry of the eastern wall and the gate tower rose above a bottom course of large basalt ashlars—the method used for the construction of all the four curtain walls of the palace. It was therefore concluded that the protruding gate complex formed part of the original architectural plan. However, reused architectural elements seen in the upper courses of the gate indicate partial reconstruction in a later building phase. The fill alongside the eastern curtain wall contained numerous broken roof tiles (Figs. 2, 4). They were made of crudely mixed clay with organic temper, and were lightly burnt. The tiles may indicate that the roof of the eastern wing, which collapsed in an earthquake apparently dated to 749 CE, was rebuilt in medieval times. Square WES II was opened slightly north of the southeastern corner of the palace (T7). At this point, a ditch excavated in 1938 reached an Umayyad pavement foundation adjoining the eastern curtain wall. The pavement foundation covered the eastern part of the foundation trench of the eastern palace wall, filled with a mixture of basalt cobblestones and mortar (L103; Fig. 5). A layer of reddish-brown silty soil (L119) was discerned in the section along the edges of the foundation trench. As this soil must have fallen into the trench when it was dug, it seems that the construction of the Umayyad palace took place in a tilled area of either gardens or agricultural fields, where soil had accumulated over a long period of time. The foundation trench cut into a layer of reddish gravel (L104), which yielded a few sherds from the Hellenistic or Early Roman period. This gravel partly covered the remains of a dry-built wall of roughly hewn basalt ashlars (W117; Fig. 6), which was damaged by the foundation trench of the palace wall. Wall 117 was set into a lower layer of gravel (L120), which was mixed with gray sand and particles of lacustrine shells and contained a single pottery sherd from the Hellenistic–Early Roman periods. The gray gravel (L120) rested on a sealed, sterile deposit of lacustrine sand (level: -209.55 m). 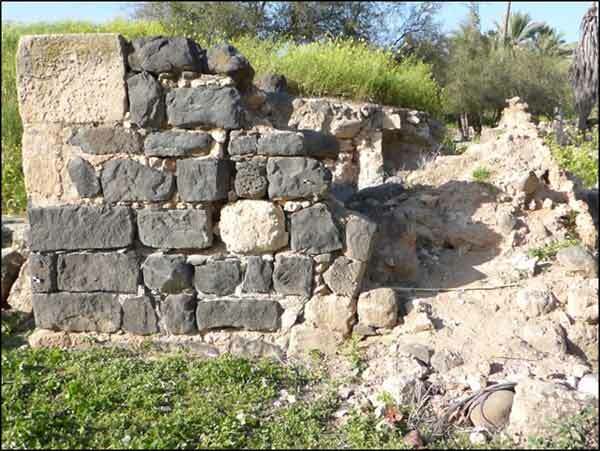 Although the date of the wall is unclear, it clearly predates the palace, since at least one layer of wadi gravel covered it prior to the construction of the palace. As both accumulations of gravel contained small, eroded sherds of Hellenistic–Early Roman pottery, it seems that fluviatile sediment was deposited here at least twice over the millennium prior to the construction of the Umayyad palace. Square WWN I (Fig. 7) was opened at one of the 1932-1939 excavation dumps (Fig. 7:1, 2), along the north section of the western curtain wall (WWN), in order to determine the depth of undisturbed archaeological layers and identify the level of the Umayyad floor; the dump debris were removed mechanically. From the depth of -206.80 m downward, several layers of compact reddish-brown soil mixed with deposits of white lime were exposed (L305; Fig. 7:3–9); they sloped toward the curtain wall. A strip of a gray-brown soil (L306; Fig. 7:10) that cut through the reddish-brown soil—possibly remains of the excavation in the 1930s—was discerned parallel to the western curtain wall, about 0.2 m to its east. Within one of the reddish-brown soil layers (Fig. 7:7) were hundreds of tesserae of various sizes and colors, with no traces of mortar, and a small number of unglazed pottery sherds. Given the stratigraphic position of the deposits, it can be assumed that this accumulation was associated with the construction of the palace. The western curtain wall was exposed at -206.78 m, but it comprised only the bottom course of basalt ashlars. No traces of mortar or the usual rising limestone masonry were found on top of the ashlars. Furthermore, collapsed stones are almost completely missing here. All this supports the interpretation that the construction of the palace was never completed, probably due to the 749 CE earthquake. Soundings POP A I, POP A II. The two soundings were opened within the furnace of the sugar refinery (L205; cf. Stern 1999:89–92, Fig. 6; 2001:277–308; Peled 2009:20, 200). The furnace was found almost completely preserved in the 1937–1938 seasons, but three quarters of its perimeter collapsed due to heavy rains in the early 1950s; the ruins have since sustained further damage, making restoration work an urgent task (Figs. 8, 9). The surface remains of the furnace were measured in March 2016 (Fig. 10); the excavation sought to determine its stratigraphy and construction technique, prior to the conservation and reconstruction work. The soundings were opened in the rear, northern part of the furnace (POP A I) and near the stokehole of the firing chamber (POP A II; Fig. 11). It could be clearly seen in the section that the furnace was constructed inside a rectangular structure built of basalt and limestone ashlars in secondary use. The firing chamber was rectangular, along a north–south axis. Its walls were built of rectangular bricks of two thicknesses—thicker ones and thinner ones—placed intermittently one upon the other in levelled courses. 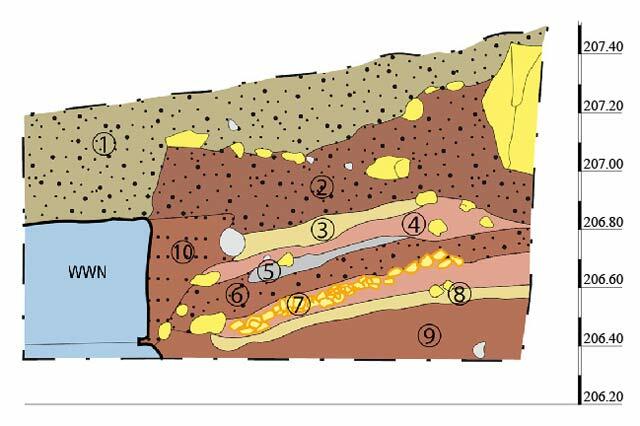 Under several layers of weathered, burnt mudbrick material, a sequence of at least five phases of use and reconstruction could be discerned in the furnace (-207.61 m to -206.50 m). The remains of each phase comprised a layer of clay with white chalk at the bottom, covered by a thin deposit of gray-brown sand mixed with some charcoal. These layers were found slanting toward the middle of the firing chamber. They did not reach the side walls of the firing chamber, as they were separated from it by a strip of loose grayish sand with burrows resulting from either rodents or decayed organic material—probably the remains of a wooden frame that served as a scaffold during the construction of the firing chamber. Underneath the lowest furnace deposit was brown silty sand (-207.91 m to -207.61 m) devoid of any traces of burnt material. The outer edge of the furnace was uncovered in the eastern part of Sounding POP A I. It lay directly upon the lowest course of ashlars of the northern wall of the small reception hall (WH7A). Although the floor of the furnace is lower than the estimated floor level of the palace, in neither of the soundings was there any evidence that it cut through a floor that belonged to the palace. This lends further support to the suggestion that the construction of the palace was never completed. The pottery from the furnace comprised sugar and molasses pots from the Crusader and Mamluk periods, affirming the date of sugar refinery. Preservation Survey. The palace was measured and surveyed for damage caused to its walls since the 1930s by weathering and vegetation. 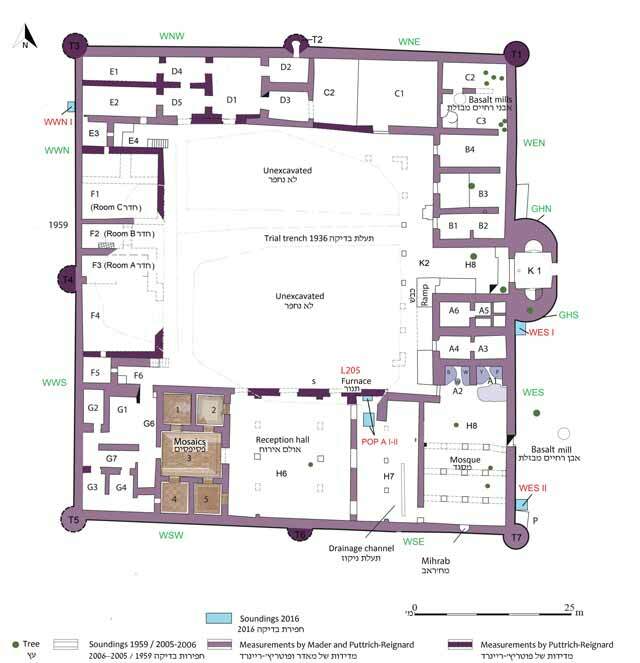 A comparison of the new plans with the 1999 measurements taken by the Getty Institute showed that the north wing is one of the most damaged parts of the palace. Here, the limestone used for building stones is very soft and prone to erosion, resulting in the weathering of most of the wall’s surface (Fig. 12). In preparation for the restoration work, the walls of the north wing were measured and drawn in a scale of 1:20. In addition to mapping the damage, information was collected on the masonry technique and building phases. Finds. The excavation yielded a glass weight dated to the Umayyad–Abbassid periods (Fig. 11; cf., e.g., Lester 2004). It was discovered while removing the 1932–1939 excavation dumps (Sq WWN I). It bears a Kufic inscription that partially reads ب]سماللة بسماللة (b]ismillah bismillah)—“in the name of God”, twice. The pottery assemblage dates from the Umayyad, Abbassid, Crusader and Mamluk periods; a large proportion of this pottery is associated with sugar production. Byzantine table ware was missing completely from the site, which may constitute yet another proof that the palace was erected outside a pre-existing settlement. The excavation provided data on the nature of the site prior to the construction of the palace and following its destruction, apparently in the earthquake of 749 CE. The squares outside the eastern curtain wall produced evidence that the palace was built on a ground covered by a layer of agricultural soil, which had accumulated after the area had been flooded twice by gravel and sand washed down from the mountains by Nahal ‘Ammud and its tributaries. These accumulations contained some sherds of Hellenistic-Early Roman date, suggesting that the flooding belong to what Vita-Finzi (1969:112–120) and Bintliff (1992:125–132; cf. Kuhnen 2016a:23–58; Lucke 2017) once defined as “the later alluvium”. Wall 117, which is embedded in the lower gravel layer, clearly predates the Umayyad construction, and may be as early as the Hellenistic–Early Roman periods. The layer containing unused mosaic tesserae (Fig. 7:7) uncovered outside the western curtain wall matches the height of the bottom course of basalt ashlars. The complete absence of limestone masonry and the unused mosaic tesserae are further indications that the palace was never finished. It seems that only little accumulation has occurred here since the Umayyad period. The debris one would expect from a collapsed wall is almost completely missing here, probably because the western curtain wall was not yet completed when the earthquake struck. The detailed measuring of the ruins produced additional evidence that construction work was unfinished, when the earthquake destroyed the eastern wing of the palace. It also indicated that partial rebuilding of the structure took place during the Abbasid or Crusader periods. The soundings within the furnace revealed that the early phases of the firing chamber were dug into the agricultural soil on which the palace was built centuries before. Yet there were no indications that any stone pavement belonging to the palace was cut through. The furnace was rebuilt at least five times, and at some point was surrounded by a cabin built of reused basalt and limestone ashlars. Fragments of sugar pots found inside the layers of rebuilding seem to point to its use during the Crusader and Mamluk periods, but they comprise too small in quantity to provide a precise dating for the furnace. Bintliff J. 1992. Erosion in the Mediterranean Lands: A Reconsideration of Pattern, Process and Methodology. In M. Bell and J. Boardman eds. Past and Present Soil Erosion: Archaeological and Geographical Perspectives. Oxford. Pp. 125–132. Cinamon G. 2012. Huqoq Beach. HA-ESI 124. Cytryn K. 2016. Tiberias and Khirbat al-Minya: Two Long-lived Umayyad Sites on the Western Shore of the Sea of Galilee. In H.P. Kuhnen ed. Khirbat al-Minya: Der Umayyadenpalast am See Genezareth (Orient-Archäologie 36). Rahden. Pp. 111–130. Kuhnen H.P. 2016a. Dated Evidence of Landscape Change around Khirbat al-Minya between the Hellenistic and Early Islamic Periods – Archaeological Contributions to a Field Survey in Geoarchaeology. In H.P. Kuhnen ed. Khirbat al-Minya: Der Umayyadenpalast am See Genezareth (Orient-Archäologie 36). Rahden. Pp. 23–55. Kuhnen H.P. 2016b. Denkmal der Glaubensgeschichte: Der frühislamische Kalifenpalast von Khirbat al Minya (Israel). Archäologie in Deutschland 2016 (1):14–19. Kuhnen H.P. and Bloch F. 2014. Kalifenzeit am See Genezareth: Der Palast von Khirbat al-Minya / The age of the Caliphs at the Sea of Galilee. The Palace of Khirbat al-Minya. Mainz. Lester A. 2004. The Glass. In D. Stacey. 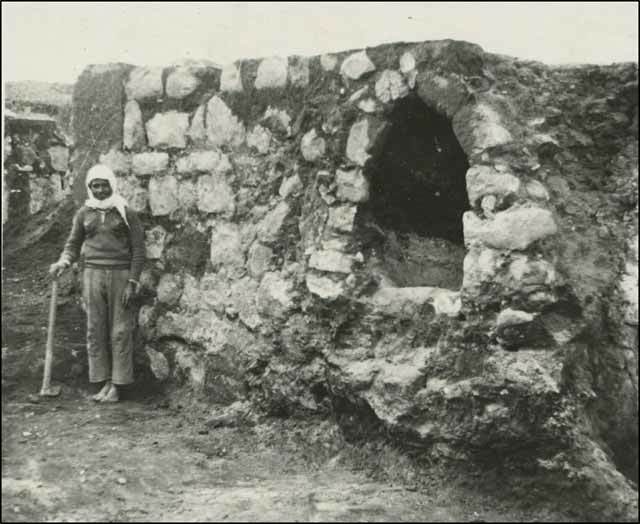 Excavations at Tiberias, 1973–1974: The Early Islamic Periods (IAA Reports 21). Jerusalem. Pp. 167–220. Lucke B. 2017. Landscape Transformations in the Context of Soil Development, Land Use, and Climate: A Comparison of Marginal Areas in Jordan, Mexico and Germany. Stuttgart. Pp. 104-111. Peled A. 2009. Sugar in the Kingdom of Jerusalem: A Crusader Technology between East and West. Jerusalem (Hebrew). Stern E.J. 1999. The Sugar Industry in Palestine during the Crusader, Ayyubid and Mamluke Periods in Light of Archaeological Findings. M.A. thesis, The Hebrew University. Jerusalem. Stern E.J. 2001. The Excavations at Lower Horbat Manot: A Medieval Sugar-Production Site. ʻAtiqot 42:277–308. Vita-Finzi C. 1969. The Mediterranean Valleys: Geological Changes in Historical Times. Cambridge. 2. Square WES I, looking west. 3. Square WES I, the foundation trench of the eastern curtain wall (WES), looking north. 4. Roof tiles found in the fills east of WES. 5. Square WES II, looking south. 6. Square WES II, the early wall 117 cut by the foundation trench (L103), looking west. 7. A section in Sq WWN I, looking south. 8. The sugar refinery furnace in 1937, looking north. 9. The sugar refinery furnace in 2016, prior to the excavation, looking north. 10. Plan of the sugar refinery furnace in 2016, prior to the excavation. 11. Square POP A II, looking north. 12. A damaged wall in the northern wing of the palace. 13. 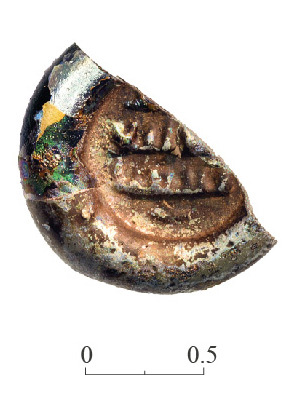 A glass weight of the Umayyad–Abbassid periods.